Tropical Pool decorations make everyone feel like they are on vacation. 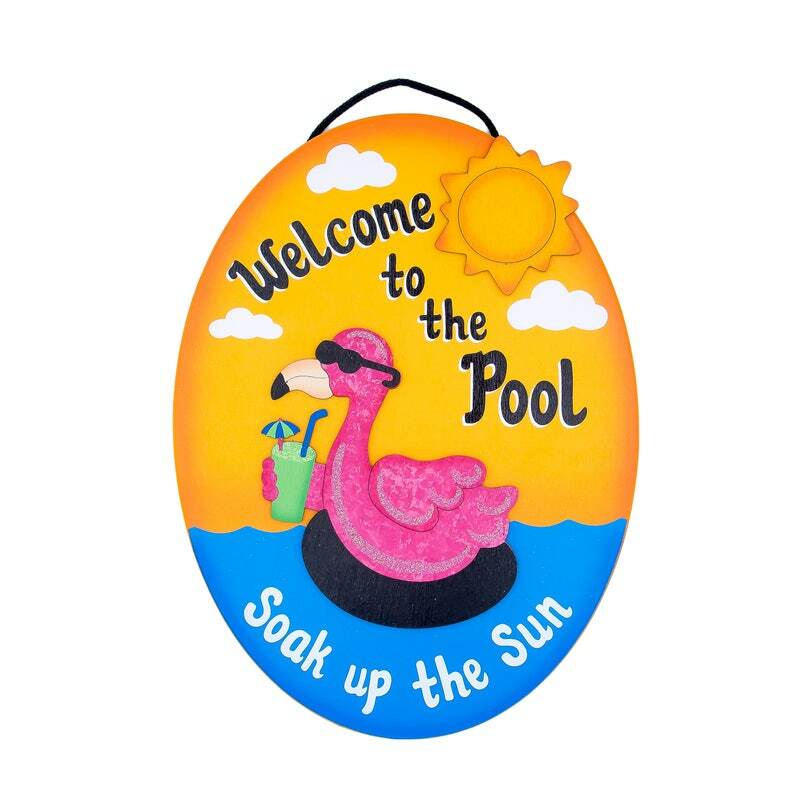 Flamingo and sun, each separate pieces, which are painted with a very high quality exterior paint, therefor you will be able to display this tropical flamingo pool sign outdoors, and enjoy it for years to come. Name can be personalized with with calligraphy lettering on the black tube. Please add exactly what you would like painted on the sign in the notes to buyer section. Add apostrophes where needed. Quick delivery and beautiful, vibrant colors! Love it! LOVE THIS. Shipped fast. Great price. So darling - love it!